April 23rd – May 2nd. Gallery talk Wednesday, April 28, 1-3pm. 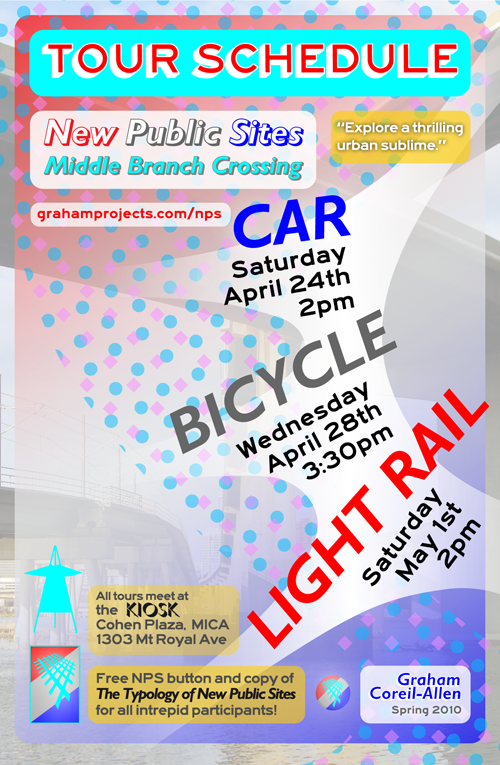 Participants are invited to explore the Middle Branch Crossing through three modes of transit: car, bicycle and light rail. 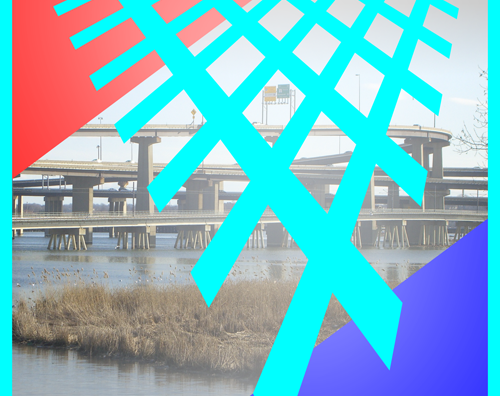 Sweeping back and forth across the I-95/I-395 interchange, the car tour will provide breathtaking zoomscapes of the water below and city beyond. At a slower pace, the bicycle tour will navigate sites of pause south of the stadium, before joining the Gwynns Falls Trail as it skirts the vistas of the Middle Branch’s western shore. 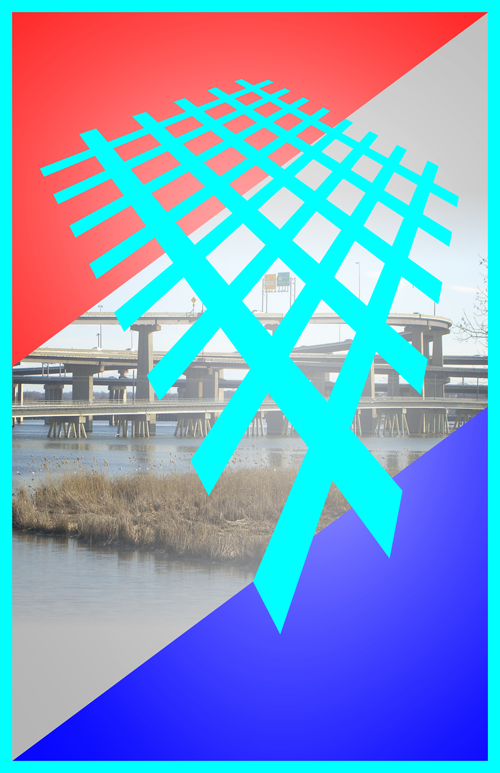 Heading farther south, the light rail tour will glide over fluid dynamics and unseen fields before culminating in an excursion of radical pedestrianism.Free NPS-Button and copy of The Typology of New Public Sites for all intrepid participants!